We know this is the episode you have all been waiting for. Clay and Corey take you on a wild ride through the divisive movie: Star Wars: The Last Jedi. Along for the ride is the New York Times Bestselling author Brian Jay Jones. His biography "George Lucas: A Life" is available in hardback, paperback, audio book and e-reader anywhere books are sold (so for sure Amazon). Follow him on Twitter at @brianjayjones. Links to Brian's website and Amazon below. Join us as we step through the entire movie, talking the finer points of the movie, pointing our the places where it fell short, and try and understand the rage that is within some fans about how this movie was handled. 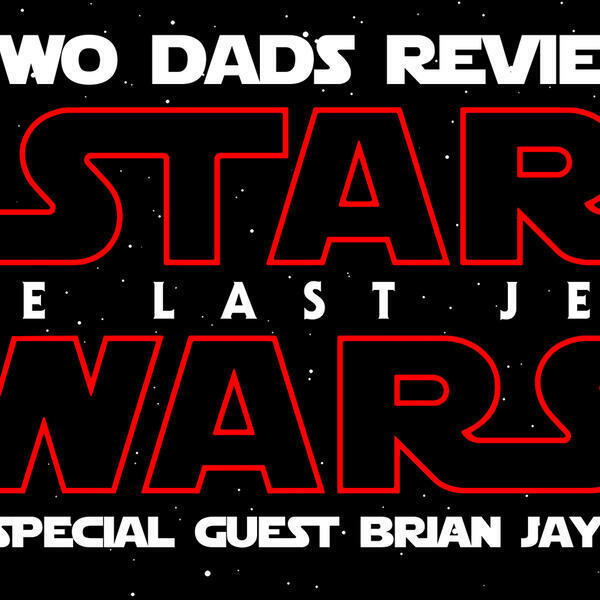 Sit back, grab a beverage and enjoy this extra long episode of Two Dads Review (it may be a long episode but it still came in under the run time of The Last Jedi).